Cebu’s holiest church houses a revered Flemish statuette of the Christ child (Santo Niño) that dates to Magellan’s time. The church’s belfry came crumbling down in the October 2013 earthquake and is being rebuilt. The church is no stranger to hardship. Established in 1565 (the oldest church in the Philippines) and burnt down three times, it was rebuilt in its present form in 1737. The Cross of Magellan is a popular historical landmark and tourist attraction in the middle of busy Magellanes Street. This important symbol of Cebu was planted by Magellan in April 14, 1521 when he baptised the first Christian Filipinos, RajahHumabon and Queen Juana and about 400 followers into the Catholic faith. Built from limestones in 1738, this fort was used to repel Muslim raiders. Filipino revolutionaries used the fort as their stronghold, and the US army used it as both a barracks and a prison camp during the Japanese occupation of the country. It also holds artifacts including, porcelains, coins, lockets, sword, cannons, helmets, etc..
Colon Street is considered as the first and oldest street in the Philippines. It is located in downtown area of Cebu City, Cebu and has been the witness of so many events that happened during the Spanish settlement. It was named after Cristopher Columbus, a navigator, colonizer, and explorer from Genoa, Italy. The original plan of the town’s design was made by Miguel Lopez de Legazpi, a Spanish explorer who arrived in the Philippines to constitute a settlement in 1565 on a fleet composed of the vessels San Pedro, San Pablo and San Juan. The Heritage of Cebu Monument is a tableau of sculptures made of concrete, bronze, brass and steel showing scenes about events and structures related to the history of Cebu. The construction of the monument began in July 1997 and it was finished in December 2000. This was the residence of the first Catholic bishop of Cebu. It offers a short history of Filipino lifestyle between 1860 and 1920. It also displays to the public an array of relics of the 18th century and collections of prints & paintings. In the heart of uptown Cebu City is a rotunda park with a picturesque fountain in the center. This is the famous Fuente Osmeña Circle, which is a focal landmark for the Queen City of the South. Fuente Osmeña, or literally “Osmeña Fountain,” was named after Pres. Sergio Osmeña. The patriarch of one of Cebu’s most prominent political families served as the fourth president of the Philippines. Considering his contributions to society, he is considered a favorite son of the province. Beverly Hills, Cebu City, Philippines. 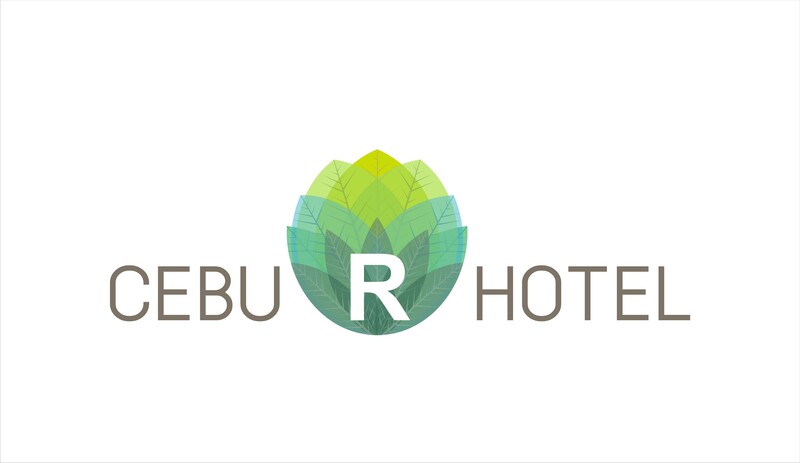 Approximately six km from the city centre in Lahug district lies Beverly Hills, the millionaire quarter of Cebu-City. From Cebu-City you can get fairly close to the temple by an Lahug jeepney. Atop Beverly Hills is the highly photogenic Taoist Temple of Cebu which was built in the second half of the last century. There is also a beautiful view of the city from this lovely place. As for Teodorico Adarna, owner of Temple of Leah and father of Filipino actress Ellen Adarna, this huge edifice of Roman Architecture design is his way of showing how strong his love and his ceaseless devotion to his wife, Leah. Yes, this is a temple of love from an inspired imagination. The temple has an art gallery, museum, and a library where all of the favorite things her wife owned are placed. At the top, there’s a spectacular view of the city and more exceptional scenery as you walk through the temple. In this Greek methodology-inspired 7-story mansion, there are gigantic lions lying on each side of the stairs that will guide you to the door step of another jaw-dropping view. You can see a grand staircase with angels made up of brass and the Queen of the Temple in a 10-ft statue with crown and flower. A top of the Nivel Hills overlooking Cebu City is Tops Lookout. Offering a beautiful panoramic view of Cebu City and the surrounding islands (Mactan Island and Olango). At a height of 610 metres it’s a great place to visit at sunset and watch Cebu City lights come alive. Not only that it offers an escape from the city noise, pollution and heat. At night it can get quiet cool up there and you may need a jacket. Canyoneering seems to be one of the most popular activities to do in South Cebu these days. While the naturally beautiful Kawasan Falls has been drawing tourists for years, the whole area has become even more popular ever since canyoneering tours were introduced. The extreme sport also known as canyoning involves walking, scrambling, climbing, jumping, rappelling and swimming through a river either upstream or downstream. It’s one of the most fun and unique outdoor activities you can do in Cebu. Whale sharks can be seen in a small barangay Tan-awan, which is 10 km away from the center town of Oslob. Whale shark watching in Cebu started last September 2011 and it became popular all over the world when the news hit in the internet last November 2011. By December 2011, local fishermen’s interact with the whale sharks by feeding them that result to flocking of tourist to the beach of Tan-awan. Large numbers of tourists began arriving in Oslob not just to see the whale sharks being fed but also to snorkel or dive with them. Bantayan Island is located north of Cebu Island. From Cebu City, it is 3 hours by car plus one hour by boat (passenger or barge/roro). Beachfront Bantayan resorts are mostly found in Santa Fe, north and south of the pier. The white sand beach shoreline in Santa Fe Bantayan curves gently towards the south.